Soup has been a core component of American kitchens since the 1890s. At the time, condensed soup represented an innovative, new concept of fast food – soup that simply required a can opener, the addition of water and a heat source. And that is exactly where soup remained, basically unchanged for almost 100 years. In the early 1990s, consumers began to look for soups that eliminated the need to add water – in other words, truly ready to eat. Manufacturers responded with products and packaging that met that criteria and the age of standardized, copy-heavy labels began to disappear, replaced by packaging graphics with images of products used in making soup or of an appealing finished product. Consumers were also increasingly putting pressure on manufacturers to disclose accurate, detailed content information to aid in purchasing. Fast-forward to today’s soup aisle, and it is easy to see the outcome of these changes as manufacturers focus on bringing new “better for you” products to shelf to meet consumer demand. 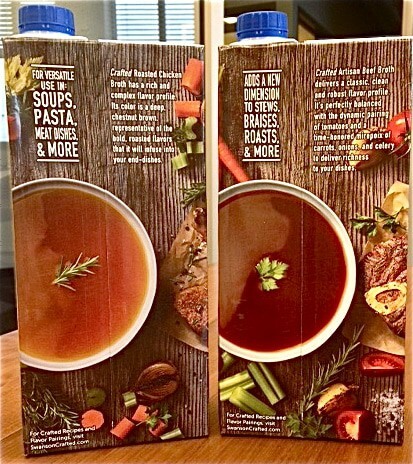 I never thought much about the evolution of soup packaging until I found myself looking for broth. It had not registered with me that there were now two very distinct product categories – soups as opposed to broth/stocks. Soups were still primarily packaged in cans or like structures and were separated by stocks and broths typically packaged in resealable cartons. I also realized how many stock or broth packages were wasting the power of their shelf space by not presenting a dynamic brand presence that connects with the consumer. Where cans were limited in terms of display space due to their curvature, cartons presented a comparatively large display area with which to present their brand message. Enter Swanson, who has its roots in canned products. 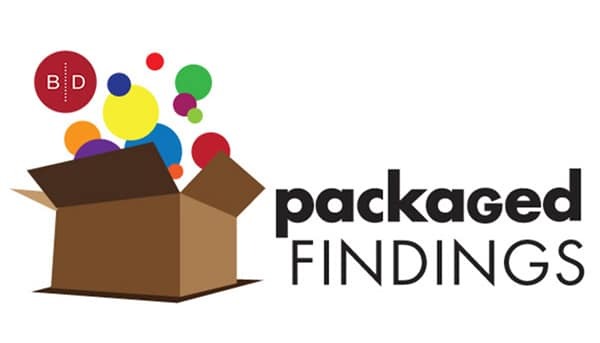 They have evolved an incredibly strong carton-based packaging system. This makes it easy to navigate a constantly expanding product line including regular broth, low sodium, and unsalted broth, organic broth and recently bone and “crafted” artisanal broths. It capitalizes on a well-controlled visual and design hierarchy that results in a strong billboard effect on shelf. With a bold blue cap, consistent size and positioning of the Swanson logo – as the lead messaging component – along with a supported color-coding of secondary copy, it is easy to know exactly where you are in the product mix. The addition of bone and crafted broths to the product line represents a notable change in approach. The omnipresent brand cap is reduced to a flag in the upper left corner of the principal display panel and notably, the typical “unadorned” clean white package has been replaced with cookbook quality food imagery. Secondary color coding is less evident but still present, differentiating the variety of “bold and balanced” flavors. Cookbook style images are carried to the back panel, displaying images of the finished stocks. No branding, no cross-sell, only a brief flavor description similar to a well-executed cookbook. Specific use and nutrition copy are relegated to the side panels. I am impressed with the way Swanson has created and expanded a strong brand family in a generally boring category. 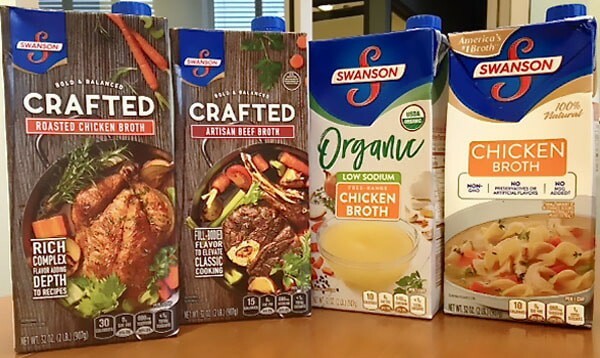 Their crafted broths stand out for product and packaging innovation and category leadership while competitive products, for the most part, have done nothing to engage with consumers other than putting a product on shelf. Packaging has to respond to consumer need and emotionally connect, which I feel Swanson has done well. If you are exploring a new visual design system, contact us at 920-886-7727 or info@brand-directions.com Throughout our 60 plus years of supporting customers with consumer brands large and small, we apply our experience and expertise to the entire process to create efficient and effective solutions.